It's been too long, nearly a month, 23 days to be precise - and I feel nought but guilt about this. My main excuse would be that I've without a working internet plan for nearly exactly as long as I've been absent from posting (but have discovered Internet Tethering through my iPhone. Heaven. Thanks Dan). On top of the that the combination of full-time work and a half-season Comedy Festival show has proven too powerful an advesary to the old blog priorities. Did I mention the guilt? You should totally come and see! It's called Occupation: Ugly and it's essentially an hour-long sketch comedy show, which means short, sharp punches of hilarity in live, video and audio format. I'm one of five (very/uber) talented writer/performers and although it's not strictly of a musical nature, I do get to showcase my favourite party trick - I don't want to spoil things (that'll cost you a ticket, head to Comedicate to book); but I will say this, if you ever wanted to hear the missing link between Boston's More Than A Feeling and N.W.A. (that's Niggaz With Attitude to you honky), then I suggest you come the hell along. We're playing every night until the end of the festival (re: Sat) at 7.15pm Kaleide Theatre, RMIT. We got some schweet airtime on Triple J's Breakfast Slot. Listen Here. Last year, The Pun called us "the best live sketch comedy of the festival" and 'people' have been saying that this year is better, you do the math. And if nothing else grabs you, look how gorgeous and model-esque we all are! Right, enough shameless plugging, on with what people came here for. Ze Musik! Here's a review of the new record from everybody's Danish group, enjoy. 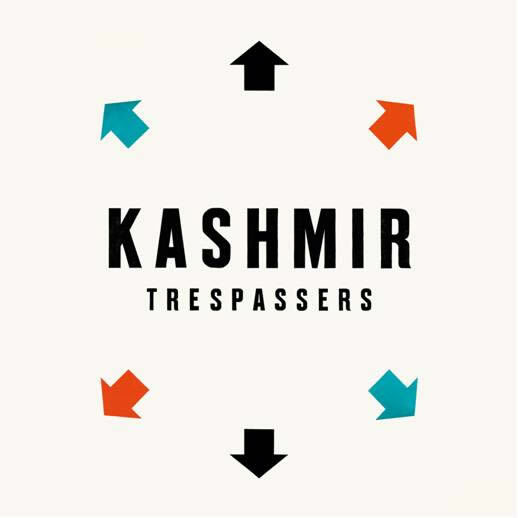 It’s been quite the wait between material for fans of Kashmir, Trespassers arrives four years after their last record, the decidedly darker, more claustrophobic No Balance Palace. Their latest however, hovers somewhere between that album’s moody temper and the melodic, pathos-tinged style of its predecessor, 2003’s Zitilites. An album that saw the group tagged ‘the Danish Radiohead’ after their international profile peaked. What Trespassers lacks in clarity or the hook-driven immediacy of its peers, it makes up for in sonic ingenuity. The opening track (and lead single) Mouthful of Wasps is an ample template, mixing a stop start bassline, shuffling drums and guitars that sound like humming organs into a curious but compelling cohesion. The quasi-title track, Intruder, follows featuring a characteristically mercurial chord progression of cloudy arpeggios against a driving rhythm section to mesmerising effect. Presiding over production is the legendary Andy Wallace, who lends everything a clear, crisp and balanced sound without detracting from the group’s penchant for curious, ear-prickling sonic curiosities. The emphasis remains however on frontman Kasper Eistrup’s world-worn vocals and the canny, creative lyrics that voice them. His cracked delivery wringing poignancy from even potentially cartoonish lines like “the vampire that hides in the dim corner as you walk by/will turn into cinder with one laser beam from your eye” on Danger Bear. Though his words can occasionally flit by in a torrent of wild imagery (Mantaray alone offers fireflies, woods, tumbleweeds, moons, earthquakes and spines), when he cuts through to the heart of the matter, he really hits home. One particular pearler, both lyrically and musically, being Bewildered In The City, with the line “In unison we vibrate and roar/my longest lasting love” reaching skyward in tandem with the music. Other highlights include the chugging drive of Pursuit of Misery, or the celestial trip of Pallas Athena – an all-too-brief shimmering backdrop of static-tweaked guitars, twinkling keyboards and Eistrup’s mechanically treated vocals. A string section lends a dramatic sweep to the emotionally charged Bewildered In The City and the epic conclusion that is The Indian (That Dwells Inside My Chest). The latter finishing the album with a symphonic ending fit for cinema. As those strings die away, the lasting impression is of a band who have now transcended the threads of their western influences, and woven them into a unique sound that is entirely their own. Beneath the beguiling textures and strange exteriors lies a return to classic verse/bridge/chorus structures. 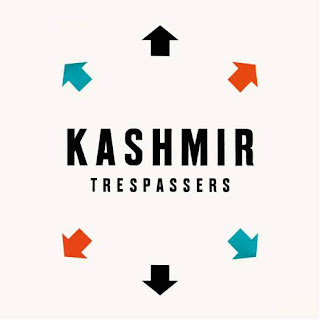 Trespassers may not be Kashmir’s most popular set, but time will most certainly prove it as their most cohesive and fully realised statement yet. And simply because it wouldn't be an AMR post without a gushing reference to one of Melbourne's best kept secrets, the ever-talented Big Scary prove their incapable of creating a bad tune with the (FREE!) 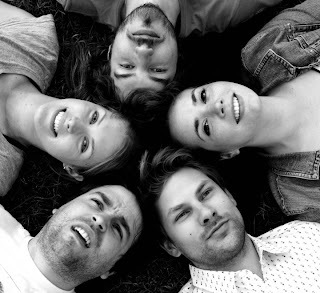 release of the title track to their newest venture, four seasonal themed EP's beginning with Autumn. Trespassers is fantastic. Basically a must for anyone who's enjoyed a Radiohead/Coldplay song. Plus they are good live!